Celadon Group Inc. is getting out of the flatbed business, striking a deal under which PS Logistics in Birmingham, Ala., will buy all of its flatbed equipment, retain its drivers and staff, and take over contracts with certain customers, company officials announced Sept. 18. The move is part of a realignment and financial restructuring effort underway at Celadon since the arrival of CEO Paul Svindland in July. Flatbed/heavy specialized hauling generated only about $20 million in revenue for Celadon in 2016 and was the smallest of five freight sectors in which the company competes. Based in Indianapolis, Celadon ranks No. 33 on the Transport Topics Top 100 list of largest for-hire carriers in North America with total revenue of $1.05 billion in 2016. Celadon Trucking Services ranks No. 13 on TT’s list of top truckload/dedicated carriers with revenue of $850 million. Celadon also has business in the less-than-truckload, refrigerated and intermodal/drayage freight sectors. PS Logistics ranks No. 61 on the for-hire TT100 and is the fourth-largest carrier in the flatbed/heavy specialized sector with revenue of $495.3 million in 2016. Under terms of the deal, PS Logistics will acquire Celadon’s flatbed trailers in exchange for an assumption or satisfaction of the lease obligations and cash for company-owned equipment. PS Logistics also agreed to enter into contracts with up to 100 independent owner-operators and to hire certain company drivers and other employees associated with the business. “We look forward to working with their great flatbed drivers and operations group,” PS Logistics CEO Scott Smith said in a statement. 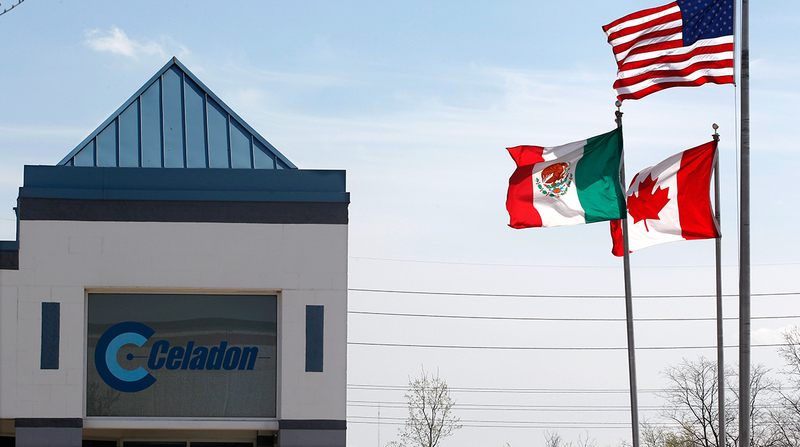 Celadon is best known for its focus on auto parts moving between the United States, Mexico and Canada since passage of the North American Free Trade Agreement in 1994. That business has not been as profitable over the past year, Svindland noted, while other businesses, including dedicated contract carriage, warehousing, regional truckload and other value-added logistics services have performed better. Svindland said the company will continue to work on a strategic plan while seeking to refinance its capital structure. Before joining Celadon, Svindland was CEO of Farren International Holdings and EZE Trucking, both of which are flatbed/heavy specialized carriers. Prior to his involvement with Farren and EZE, Svindland worked as chief operating officer at intermodal marketing firm Pacer International and as a managing director of AlixPartners, a business advisory firm.